After eight years of timidity and weak leadership on the global stage, America finally has a commander-in-chief that is embracing the notion of peace through strength, and not a moment too soon. Gangs and violent drug lords are currently residing on U.S. soil due to the lax immigration laws of the previous administration. China is on the move in the South China Sea, aggressively occupying territory and building military bases on various islands. Iran is pursuing the development of a nuclear weapon no thanks to the disastrous nuclear deal negotiated by Barack Obama and former Secretary of State John Kerry. Of course, this isn’t the first time North Korea has tested an intercontinental ballistic missile, nor is it the first time President Trump has responded in such an aggressive and threatening manner. However, there was something different about this particular test that makes it especially serious and significant. 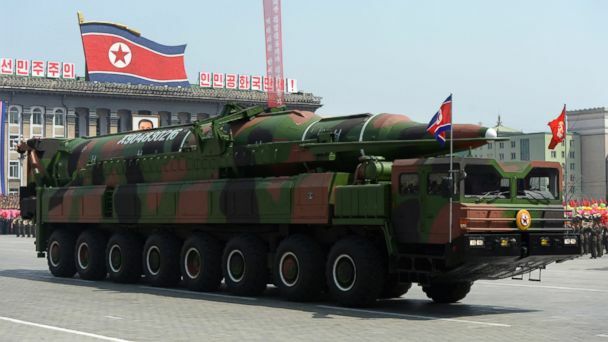 According to the Pentagon, the latest ICBM tested by the North Koreans reached an altitude of 2,300 miles and had a flight time of 47 minutes. Based on this information, it is likely that this missile would have been able to reach a number of heavily populated U.S. cities, including Los Angeles, Denver, Chicago, and potentially New York and Boston. Kim Jong-Un and the North Korean government are now a serious threat to America’s national security, and millions of innocent lives are in jeopardy. A nuclear strike in a city such as Los Angeles or Chicago would result in countless fatalities, and would inevitably drag America into a war with not only North Korea but its allies as well. Even if the United States emerged victorious, it would still take years, if not decades, to reorganize and rebuild. That is why it may be time for the United States to take precautionary measures to ensure that such a massive attack never comes our way in the first place. In response to a separate ballistic missile test back in April, conservative radio host Mark Levin argued that it is time for the United States to take out the leader of North Korea, Kim Jong-Un. “He needs to be taken out,” Levin said on his radio program. “This inbred is hell-bent on developing long-range ICBMs – which he doesn’t need.” After explaining how the United States would have to be very open and honest with China about our plans to take out the North Korean leader, Levin assured his audience that he’s “not a neocon,” and that he just wants to defend the United States. Mark Levin is absolutely correct. In order to defend the homeland and countless American lives from a potential nuclear strike, the United States is eventually going to have to deal with Kim Jong-Un. We cannot sit idly by while these tests continue because if we do, the end result could be catastrophic.